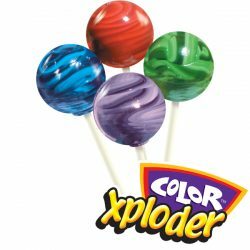 Hotpops are dipped in different types of chili on one side of the lollipop, and the other half is dipped in a sour fruit flavor. While the chili component is new, the popular Hot N Sour candy flavor is a growth market with appeal to children of all ages. The sour flavors run the gamut of fruit tastes from exotic citrus to apple. 640 Hotpops lollipops per master case. Fiery Mouth Watering Flavors: Orange, Pineapple, Green Apple, Lemon, Watermelon, and Mango. 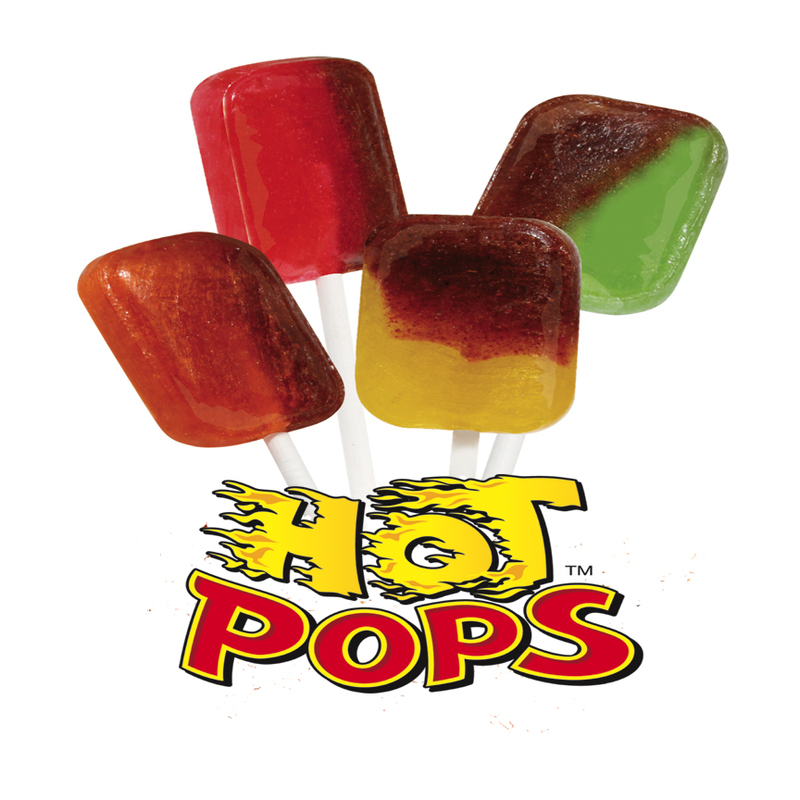 Hot Pop gourmet lollipops taste just like they sound, as they are a tasty and unique combination of sweet and spicy. 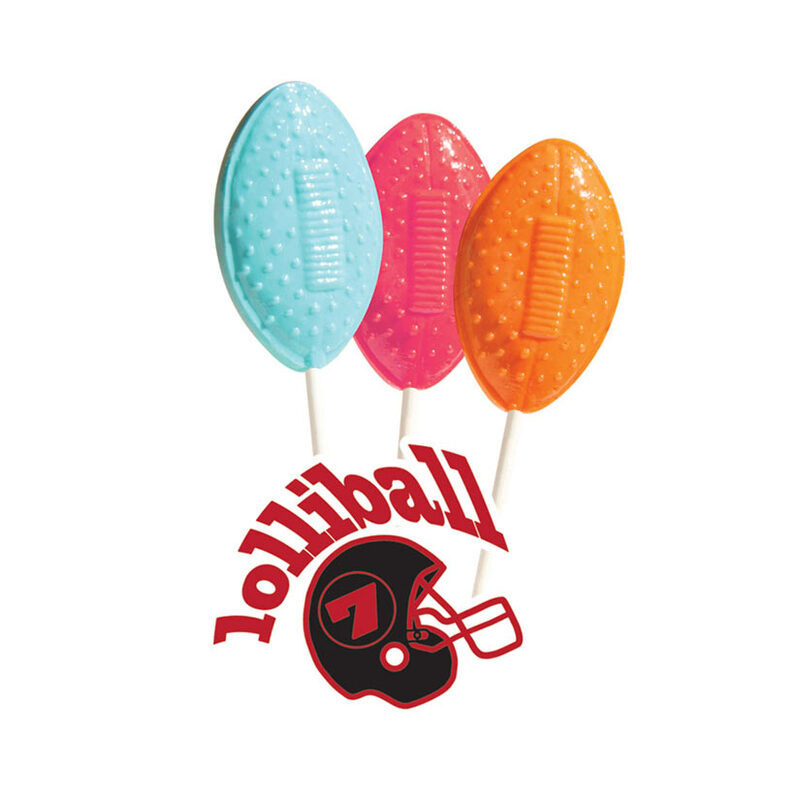 Our lollipops are dipped in chili on one side, then in sour fruit on the other. 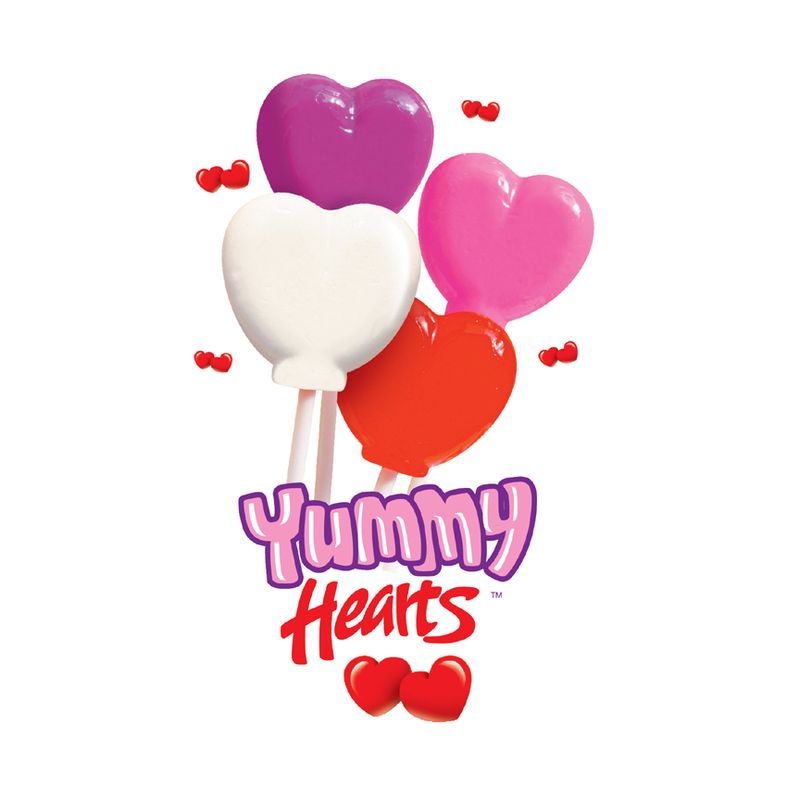 Created after popular Mexican treats, our Hot Pop gourmet lollipops will take your taste buds for a thrilling ride. Please note, our gourmet lollipops are free of gluten, nuts, eggs, shellfish and milk, so they’re as allergy-friendly as they are tasty. Please see the list of flavors below and let us know if you have any general or specific questions. 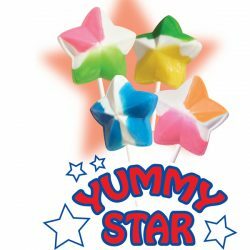 Sugar, Corn Syrup, Citric Acid, Sodium Citrate, Iodized Salt, Malic Acid, Guajillo Chile, Tree Chili, Artificial Flavors, Artificial Color (Titanium Dioxide). Colorants are dependent on the flavor, may contain any or all of the following: Red 40, Yellow 5, Yellow 6, Blue 1.